What can I say about these little mouse ears. These are my newest rhinestones since 2012. Even though they are acrylic, I am calling them rhinestones as they have more sparkle than any other rhinestone I use for my hair swirls. You won't be disappointed in these. 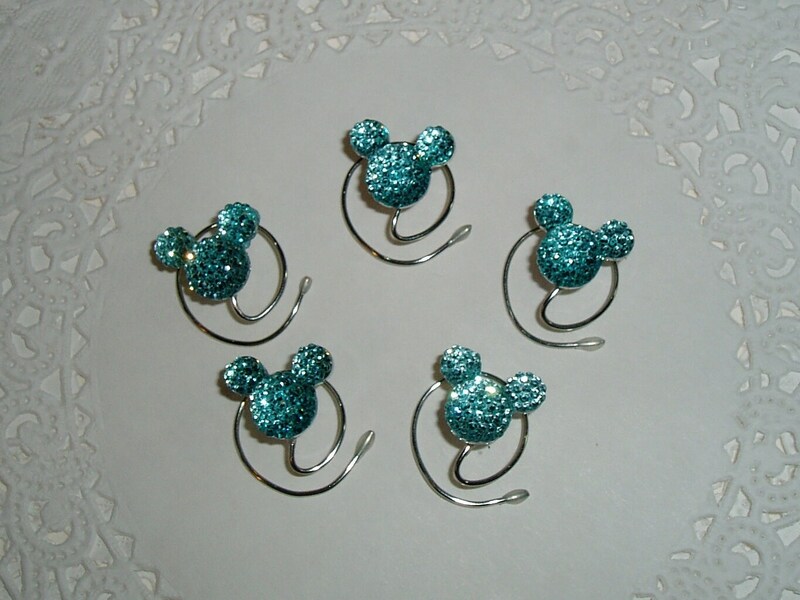 You are bidding on 5 pieces of hair jewelry consisting of darling tiny Dazzling Aqua Blue Mouse Ear Hair Swirls. Each mouse is about 1/2 inch in size. Each tiny mouse has many tiny facets that sparkle when light hits them. They are mounted on a tarnish resistant silver tone wire. They come in lots of colors. Watch for new listings soon. 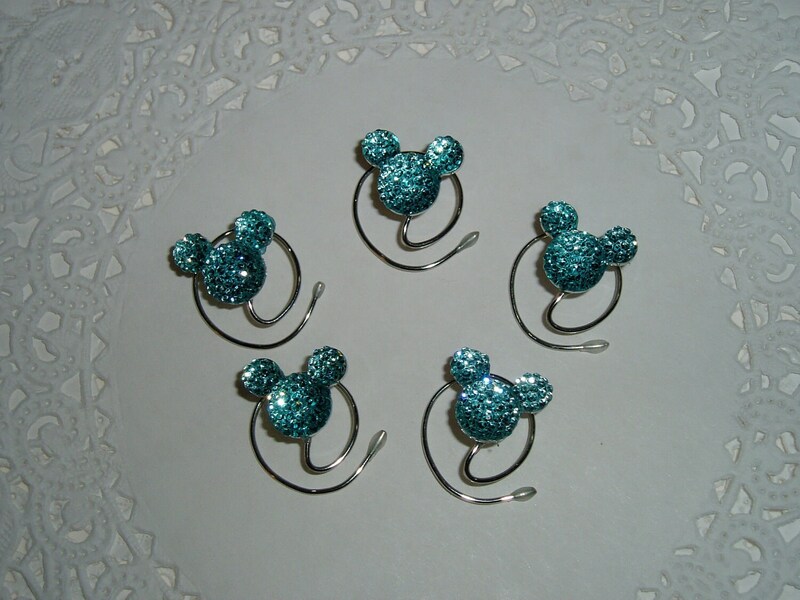 The Mouse Ears Bling Collection was created by me at HairSwirls1 in March of 2012. 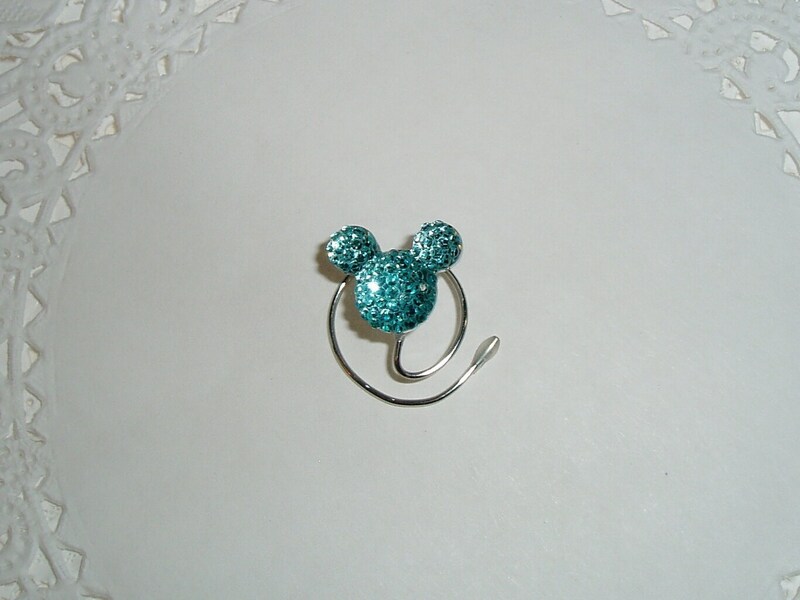 These products are not associated, affiliated or sponsored by Disney Enterprises or any of their affiliates. 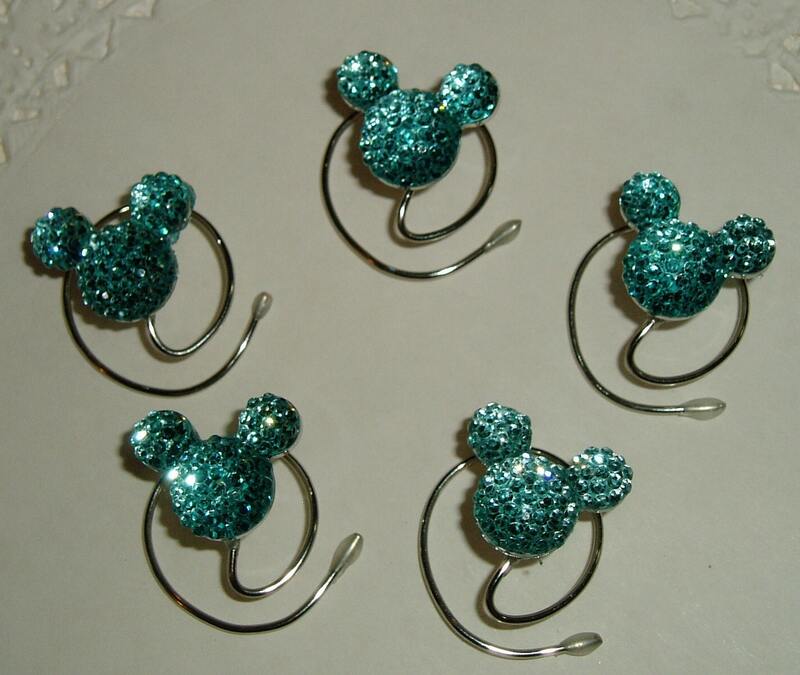 The Mouse Ears Collection is not a licensed Disney Product.